Rev. Harold Linder is a graduate of Kent Christian College where he earned his B. A. in Biblical Studies. Upon graduating, he returned home to serve seven years as Youth Pastor of Bethel Pentecostal Church, Long Island, New York (Bishop D.D. Davis, Pastor Doug Davis). While residing in New York he also served six years as the Youth President of the New York Metro District, UPCI. Bro. Linder’s ministry has included missions work in Africa, Asia, Central America, Europe, South America, and The Pacific. He has also traveled extensively throughout North America speaking at revivals, rallies, conventions, and camps. He has ministered at the North American Youth Congress and the North American Youth Workers Convention. He has also served the General Youth Division of the United Pentecostal Church as a member of the Executive Planning Committee. Pastor Linder serves as an adjunct instructor at Northeast Christian College in Fredericton, New Brunswick Canada, as well as a Distant Learning student at Urshan Graduate School of Theology in St. Louis, Missouri. 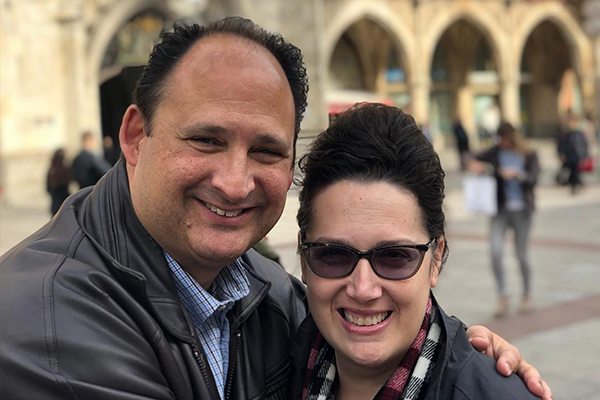 He serves as the Global Missions Director of the North Carolina District and he is also a member of the Global Missions Board of the United Pentecostal Church International. Since 2001, Harold Linder has faithfully served as pastor of Heavenview United Pentecostal Church in Winston Salem, North Carolina. He is very blessed to enjoy the capable support of his wife Lisa, their daughter Abigail, their son Harrison, and their Wonder Dog Max. Heavenview is blessed with a great team of Ministers, Elders, LifeGroup Leaders, Office Staff and many other dedicated Volunteers, that serve alongside Pastor Linder. We are eager to welcome you to our Church family and invite you to serve on our team. Together we are Loving Jesus. Loving People. Loving Missions.